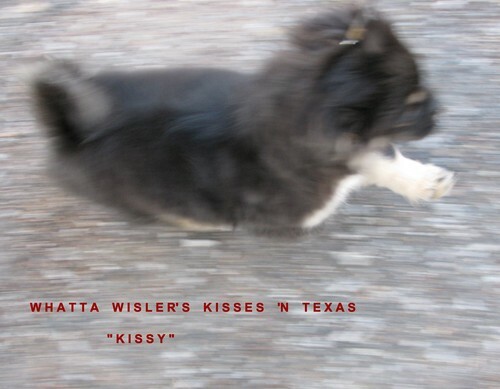 The gorgeous "tri" WHATTA WISLER'S KISSES 'N TEXAS "Kissy" is a granddaughter of CH. Tibroke's Kabayashi Maru and CH. Aldea Burnin Rubber. "Kissy's" sire is the full brother to Whatta Wisler's Trouble 'N Texas "Trouble" (see her page). "Kissy" enjoys her afternoons at the local Starbucks!! Then we start our table work and lead work getting ready for the summer shows!! What fun this adorable little girl is with her "joie de vie"! Photo is of "Kissy" at 10 months of age. 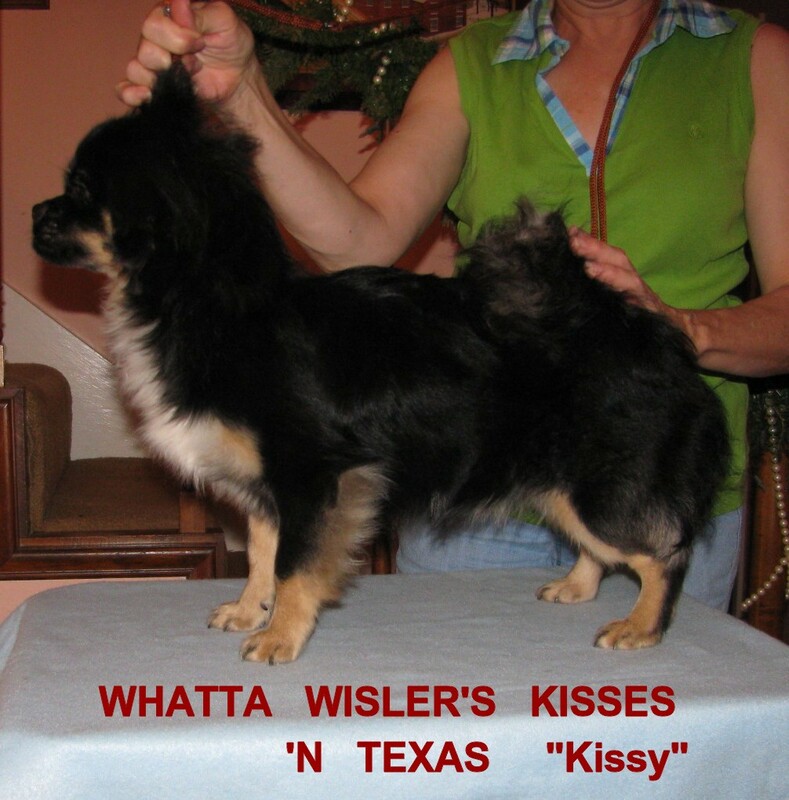 Watch for "Kissy" at the shows with the "sensational" CH. Whatta Wisler's Saint I Ain't ! ! "Kissy" will also be shown up in the Northeast later this year. Also, watch for WHATTA WISLER'S PARTI 'N TEXAS ! ! ! CAN SHE MOVE ? ? ? You Betcha ! ! This little girl has fantastic movement, beautiful pigment, nice bite, nice "type" and PLENTY OF ATTITUDE ! !